So, a bunch of you saw this car at the last practice autocross, or on Facebook. Ricardo, Gunny, Jeff, Chris, Paul, Pat and a few other friends put a second 24 Hours of LeMons race car together over the first few months of this year. 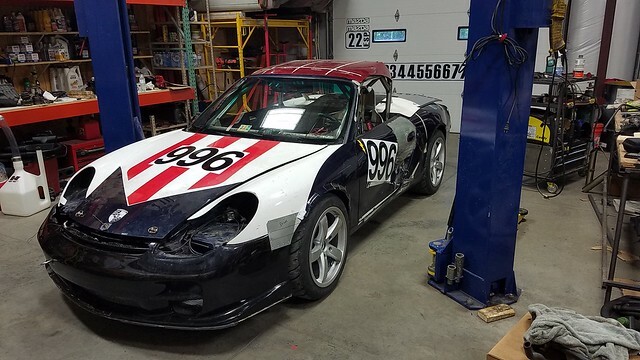 I've got all these carcasses sitting around my shop, so we picked the nicest one - Danielle's wrecked 996. 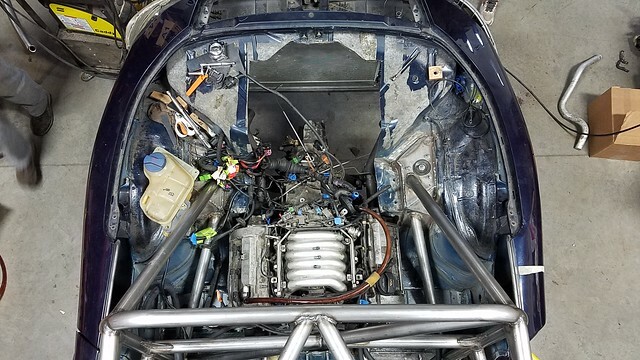 We got it under budget because I paid $5200 for the car, am selling the motor for $8k, and bought the donor car for $400. 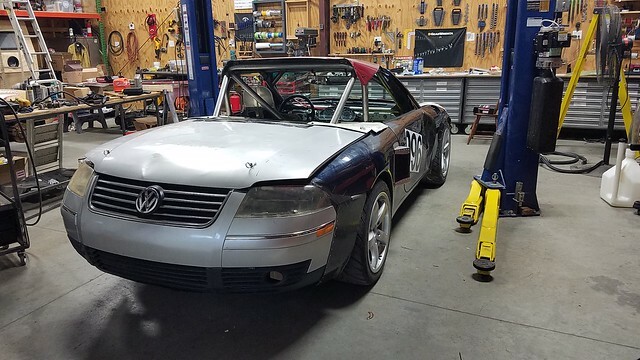 The donor is a VW Passat with a 2.8L V6 - we've dubbed the finished car the "Porssat"
We did our first race last weekend at NJMP and shockingly, the car ran the whole time. 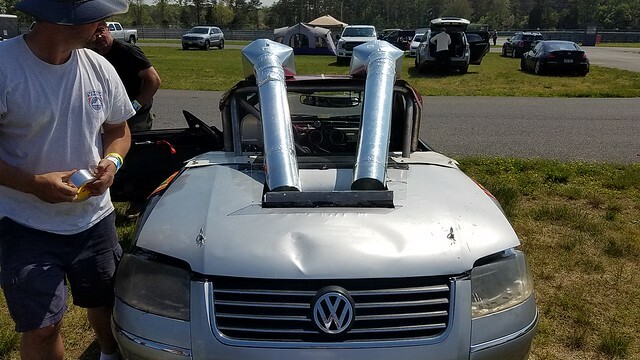 We had to get some more cool air to the rear-mounted radiator, but did pretty well. 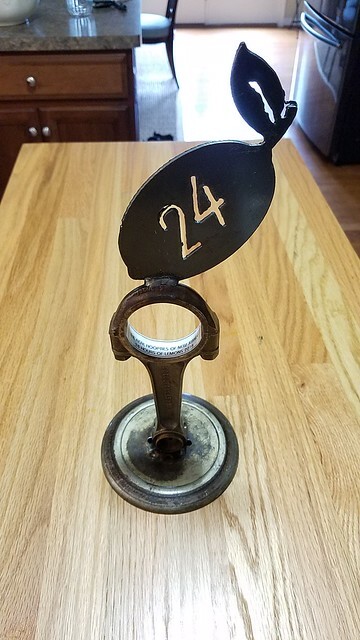 The judges liked the car so much they made up the Porsche Excellence award for us. Here is their race writeup. My last stint, with the fastest lap. Thank for sharing the build with us followers. I would love to participate in a Lemons race in the near future. Gives another excuse to keep some unfinished projects around. Can we get some insigbt on the Honda muscle car build. Yeah, I've gotta get back to it. 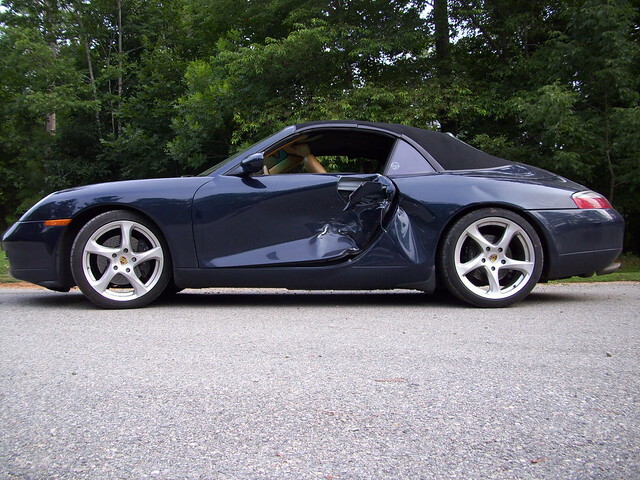 I set the Insight aside to build the Porssat. Now that it's done, I need to wrap up some more urgent stuff (head gasket on my truck, rebuild trailer axles) and then I can get back to it.